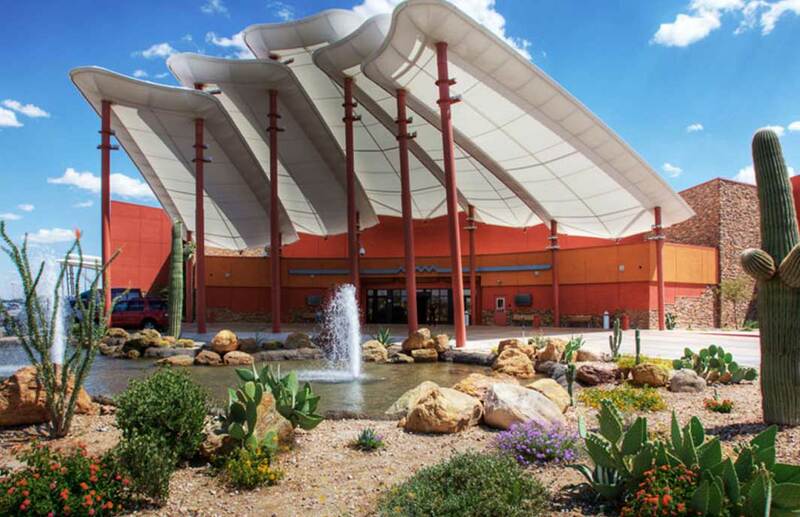 The award winning Lone Butte Casino was a design build project located in Chandler, Arizona in the Gila River Indian Community on Kyrene Road and the Loop 202. Total square footage is approximately 129,000 square feet on an estimated 40 acre site. The state of the art Casino consists of approximately 680 slot machines, 2500 parking spaces, high limit area, a 750 person bingo facility, two fine dining restaurants, casino bar, and an oversized food court. This project resulted in a casino that was triple the size of the original Lone Butte Casino, with a construction budget of approximately $70 million. More recently, due to the Casino’s success, TynanGroup acted as Project Manager on a major expansion of the Lone Butte Casino where the game floor was expanded by 10,000 square feet and an 8,000 square foot event center was added. Two restaurants were renovated, receiving new concepts, and a new bar was added as well. TynanGroup delivered this next-generation casino for the Gila River Indian Community on-time and on-budget.